The main focus of any Super Bowl party is usually the TV, so be sure to get your TV viewing area set up as soon as possible. If you are short on space, you may wish to have multiple TVs to allow your guests to spread out. Make sure that there will be plenty of seating for your fellow fans. Renting folding chairs can be a quick solution if you don&apos;t have many of your own seating options. Keep in mind that not everyone will be glued to the TV for the entire game; many of your guests may come more for the socializing than the football. Create hangout areas for these guests as well, preferably away from the TV area so that they can converse without disrupting the die-hard fans. If any of your guests have children, include a play area for them as well in case the weather won&apos;t allow for them to play outside. 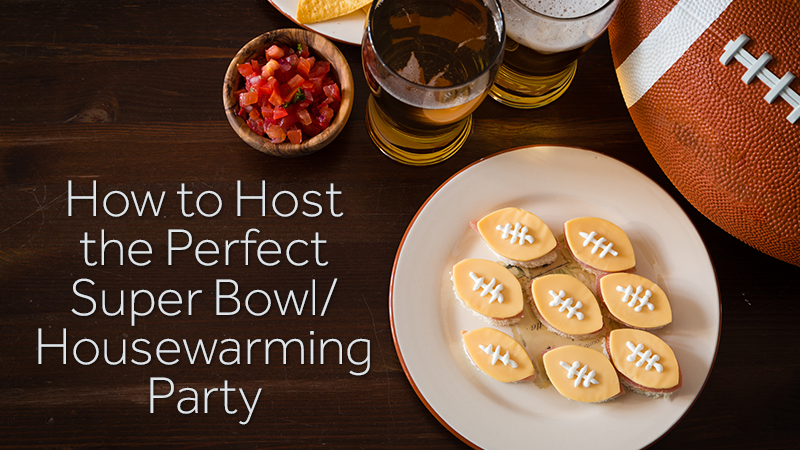 Remember that this is a housewarming party as well, so don&apos;t go overboard with football-themed decor. You want to create a festive ambiance while still allowing your guests to see your new home. Streamers in the colors of the two teams playing can go a long way toward giving your home that Super Bowl spirit without distracting too much from the beauty of the home itself. 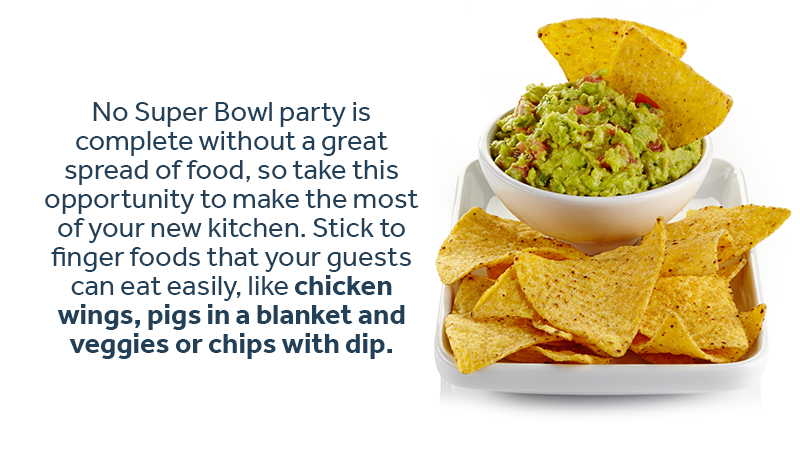 No Super Bowl party is complete without a great spread of food, so take this opportunity to make the most of your new kitchen. Stick to finger foods that your guests can eat easily, like chicken wings, pigs in a blanket and veggies or chips with dip. If your kitchen is not within TV-viewing range, you may wish to set up a buffet area near the TV so that guests don&apos;t have to miss any of the game (or the hilarious commercials) to grab a snack. Keep the bar near the TV area as well, offering a variety of alcoholic and non-alcoholic beverages. Moving is not something that can be completed overnight, so don&apos;t worry if you still have a lot of boxes left untouched. Keep them out of sight and out of mind during your party by storing them in a private storage unit at Zippy Shell Houston. Without all of that clutter in your way, you&apos;ll be able to relax and enjoy your party with your friends. We offer a variety of specials for long-term storage needs, so get in touch with us today to learn more!